Jack Thompson is a former NFL Quarterback and considered one of the best quarterbacks in the history of Washington State University football. Jack Byron Thompson was born on the island of Tutuila, American Samoa. In 1958, his family emigrated to Seattle where he was raised. 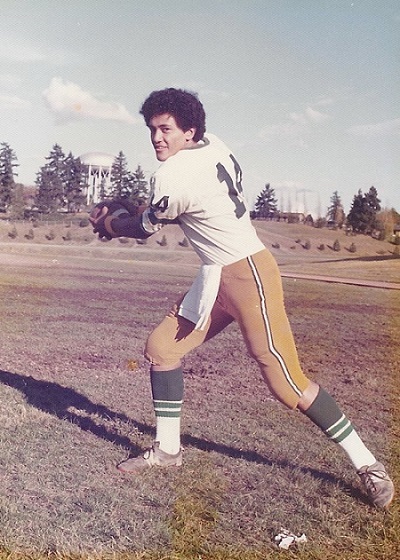 Thompson attended Evergreen High School where he played football (#14) and graduated in 1974. Thompson went on to Washington State University where he was starting quarterback for the Cougars from 1976-78. Thompson also set Pac-10 records for pass attempts (1,086), pass completions (601) and total plays (1,345). During his senior year, he was named a First-Team All-American by The Sporting News and finished 9th in the voting for the Heisman Trophy. Thompson is only one of two players in WSU History to have his number (#14) retired. “Jack Thompson is one of the finest players to ever don a Cougar jersey and continues to be one of the great ambassadors for Washington State Athletics,” said WSU Director of Athletics Bill Moos. Following his college career, Thompson was drafted by the Cincinnati Bengals as the third pick in the first round of the 1979 NFL Draft. He played for six years in the NFL: four with Cincinnati and two with Tampa Bay. After his pro football career, Thompson settled in Seattle and became a private banker as well as a coach at Ballard High School. In 2013, he was elected to the Polynesian Football Hall of Fame as a member of its inaugural class.